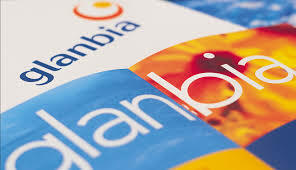 Glanbia Ingredients Ireland Limited (GIIL) has welcomed the outcome of the vote held at the special general meeting of Wexford Milk Producers (WMP) last night where shareholders approved the sale of Wexford Creamery Ltd to GIIL. The result of the ballot, conducted independently by the Irish Co-operative Organisation Society, was announced after 326 farmers cast their votes. “We welcome this endorsement by Wexford Milk Producers shareholders and thank them for their considered analysis of the proposal put before them and for their goodwill and support during the process,” said Jim Bergin, CEO of GIIL. “We look forward to continuing to build on what has been a long, and mutually beneficial relationship with WMP over many years involving milk supplies, cheese manufacture and whey supplies. In addition, he noted that GIIL and WMP will host a series of supplier meetings in early New Year to progress working arrangements, including milk supply agreements.